This is the time of the year, we shop for the latest trends, colours, and styles of clothing for our children. Before a new school year starts, we go through our children's closet to get rid of clothes that no longer fit them, and shop for outfits that they will enjoy wearing to school especially as the weather becomes cooler. 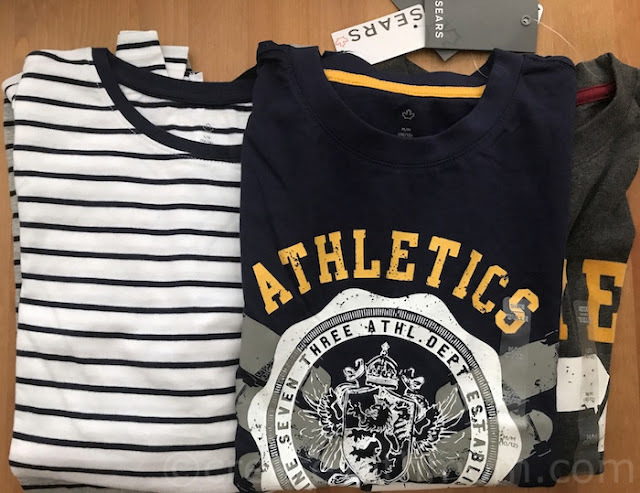 We like shopping at Sears Canada for children's clothes because they have a wide selection of their own private label styles at reasonable prices. 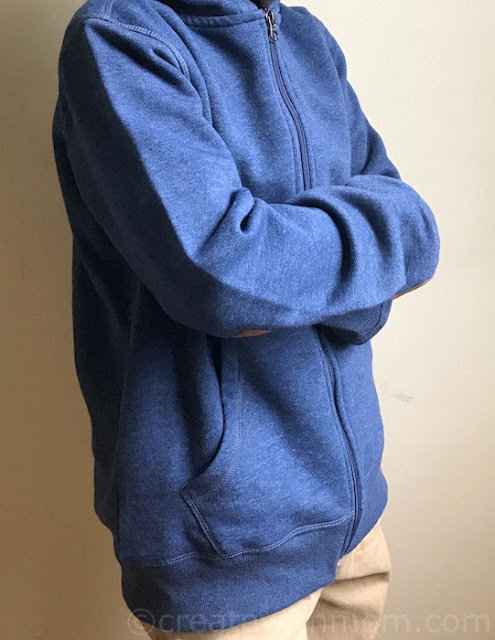 Getting outfits that children want to wear can be both exciting and overwhelming, especially as children grow up and want to express their own personality and style. 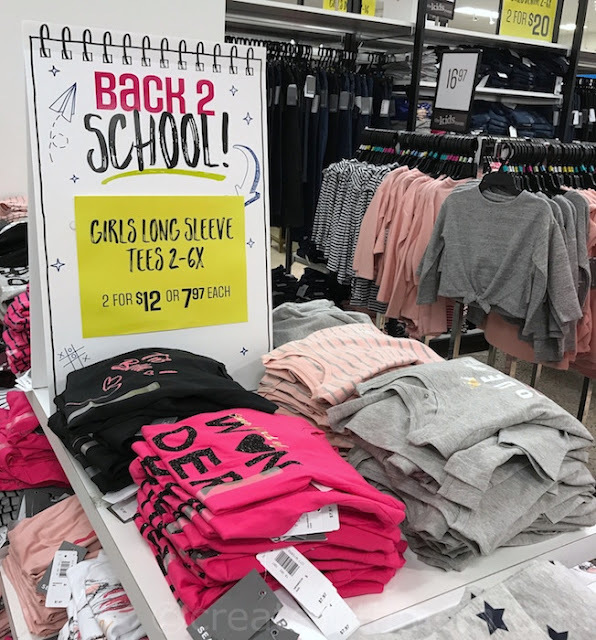 I am glad both my children were able to find outfits for less than $50 each that they plan to mix and match to wear for school. 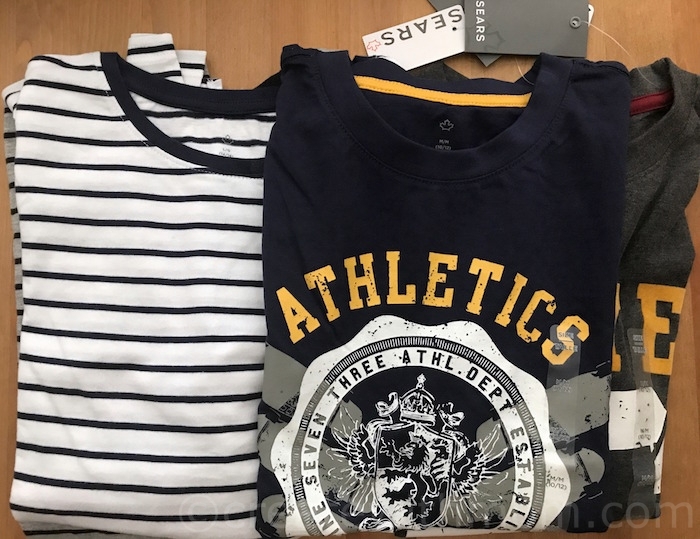 We took advantage of a special deal Sears Canada had for two long sleeve t-shirts priced at $15. 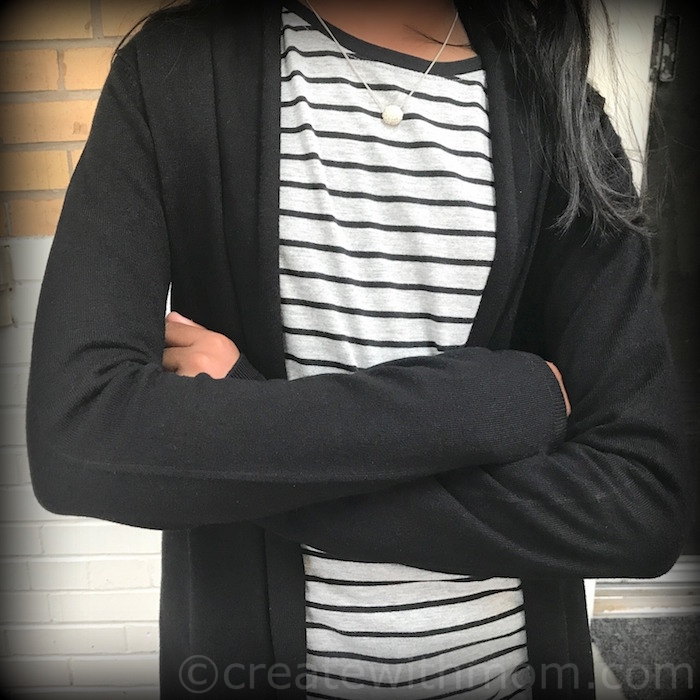 My daughter is planning on wearing the t-shirt with the Big Girls French Terry Jogger Pant she got for $19.97 with the $19.97 wrap cardigan. My son chose the $14.97 chino jogger pants he can wear with the long sleeve t-shirts and the $16.97 fleece zip hoody sweater. We also got a few back to school stationary items. When we purchase back to school items over $50 we can get a free backpack, this deal is until supplies last. I really like that you can get a free back pack for your kids with a purchase over $50! Great prices. Great outfits - I always find something I like at Sears! Wow that's a good deal. I wish that the one at Masonville in London didn't close. I think right now we still have one smaller Sears across town. Sears was such a great store was us for many years. My Mom liked it too. I will go look there at the other store because these prices are worth it! 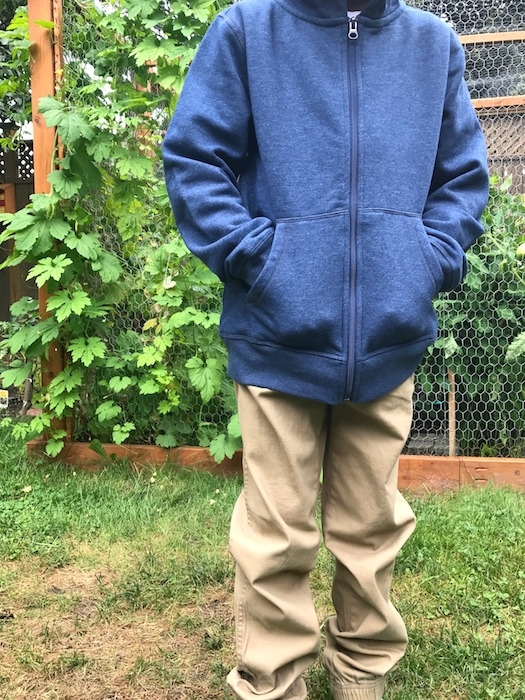 My girls are at a uniform school so we don't tend to buy too many other outfits for back to school - mostly just uniforms although we have found some great outfits for them at Sears for at home/special occasions. I haven't shopped at Sears in quite some time, need to change that! A free backpack is a great bonus for buying things you need. I will have to go check this out!